Saddle up and join the army. 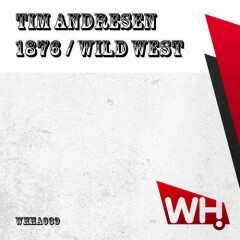 Tim Andresen leads the tribes with this corker of a two-tracker that will surely please the DJ cavalry. Riding through percussion-driven tech house terrain, he shoots twice with 1876 and Wild West. Two tracks guaranteed to drive squadrons of clubbers onto the dance floors.